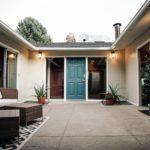 There are a lot of articles out on the interweb right now that cover the basic ways to add value to your home. We wanted to shed light on a few advanced strategies that aren’t really talked about as much. What better way to do so than to use our clients current remodel as a perfect example of one of those ways. In this video, we cover one of the top two ways to add value that isn’t covered in the most blog posts out there. If you want to know the more common methods, check them out here. Today we cover increasing your bedroom and bathroom count to add home value. -Increasing the number of beds and baths gains you access to new comparable homes that will increase value. -Change wall locations to better utilize space that otherwise was unusable or not used as well. -Adding an en suite to each bedroom makes the home unique as most homes don’t have that unless they are high-end luxury homes. -Getting rid of doors that lead to unusable spaces in order to make a room flow better. -Changing window height or location to increase functionality. -Using old unneeded closet space as a bathroom space. -Design centric bathroom to get a functional bathroom in a small space. -Adding a small secondary laundry space. -Updating bathroom to a more relevant design. Hey guys, Matt Sneyd, Muve Group. Wanted to touch base with you. Last week I posted a video, that was a live video if you didn’t catch it. What we are trying to do is get back into some educational stuff. Use some of the houses of ours and our clients to really give you guys a free education on real estate, how to add value, how to do the construction process. Holding true to that promise of last week, we’ve got a property here of a client of ours. I was flipping this. And it’s kinda half way point where it’s a good example of house to go through, and use it for some education. So the direction we’re going today for education is that we wanna show you how to add value to your house. You see these articles all over the internet all the time like, “Top five repairs to add value to your house. And ROI…” Well, some of those are correct. They’re not always what I consider the best options. But if I’m gonna really just narrow it down to the most simple ways to add value, especially when you’re doing a decent remodel. Pretty much adding square footage is huge, and they never talk about that. And then adding a bedroom-bathroom or one or the other. Like if you have a two-one and you can step it up to a two-two, or even a three-two, you move into a different realm of value. Because you’re comparing that house to now something that is in a completely different realm of cost. So what we’re gonna go through today is how we added a ton of value to this house. By, we didn’t add any square footage. But we turned this into an unfunctional three-bed, two-bath. Into a functional three-bed, three and a half bath. What that does is like I said it, it makes this a total white elephant. in the sense of it’s a unicorn now, because every bedroom has its own bathroom, has an en suite. Everything is…it’s all fit into a bay. I think this is 18, 19 hundred square feet. So it’s very modest and functional. It’s not a use, waste of space. But let’s go in and check it out. So if again, if you can’t see it you can’t sell it. You need lots of light to be able to show off what you are doing with your house and make it so it’s light bright. Adding can lights is a really good way to do that. So we got those here, we got those in the kitchen. And we got those in the living room over here. This is a single-level house, a mid-century modern style to it. Kitchen, real quick is gonna get new cabinet faces. They’re gonna get new countertops, quartz countertops. It’s gonna kinda have that white stainless steel with spray countertops look to it. We got your family room over here, not much is changing besides some paint, carpet. But if we swing over here we’re getting into that functionality that we talked about when I introduced the video. So this used to be a wider opening, and it was the laundry room. And back on this side of the wall is the utility room. And it was a lot of wasted space. And so but it was enough to do something cool. And because it’s a single-level house, you have easy access to the plumbing through the [inaudible 00:03:58] space. So what we did is we flip-flopped and put the laundry and the hallway over here and this utility closet. Where the water heater is, and we added a half bath right here. What that does is it makes it so your guests have their own space to have the bathroom. So they’re not having to go into the one that you use. Or that your roommate, or your spouse, your kid uses. Half-baths are really nice for that reason. So that was one thing that I think makes a big difference for people that they don’t have to go down the hall and use the bathroom that you use. Let’s shoot over here..this is a bedroom over here. This bathroom was pretty small. It didn’t have any updates to it really. Let’s see if we got light here. So a little bit, this bathroom actually already existed but we wanted to redo it to make it nice. So we’ve got subway tile. We’ve got new modern tile on the floor, and just everything new in here. So this is a nice little master suite. It’s small but it’s functional. And then we were gonna get rid of this but it’s, yeah we’re gonna leave that option up to the buyers. On whether they wanna just have a window here. Or if they actually want to have a sliding patio door so they can get different furniture configurations. So that’s one bedroom, that’s one bath, let’s go check out the other one over here. So here is what I was talking about just a second ago. This is the laundry that used to be on the other side of that wall, is now in here. There’s gonna be closet doors here to cover this up. But this is where your laundry is gonna be accessed. And there’s actually a possibility to have a second laundry in the master. Which again, like having three bedrooms, three bathrooms, and a half bath plus two laundries in this small house is unheard of. And that’s how we’re adding a ton of value to this place. So again, different configurations. Let’s step into this bedroom. This is a secondary bedroom. There was actually…no bathroom over here. There was just a closet and a closet. And then on the backside of this closet, there was also a master closet. That was kind of messing up the floor of the master bedroom of where you could put furniture. So we’ll show you how we solved that later on. But we basically took that master closet that was weird, added a bathroom. That means that this bedroom has its own master as well. With its own shower, vanity, and toilet. And game-changer. Taking space that was already there, that was weird and actually apply it to something that’s functional. Okay? We still have a good sized closet here and let’s go check out the master. Okay. So as you come into the master here. Where I just was, there was a door opening here that’s now gone. That went into that closet, which was like a walk-in closet. But because of it’s location, if you wanted to put bed against this wall or this wall, it was a little bit weird that it just wasn’t the best flow. So that’s gone and that bathroom has been added. Which again has a lot of value. As we swing back around over this way, this face, there was no wall here. We made this, the closet. And basically is a walking closet. I like coming through closet and having either a closet off the bathroom. Whether you go through the bathroom first or through the close first, I don’t mind it. But I am a big proponent of having the closet and the bathroom really close to each other. This space that I’m standing in right now was very awkward before. It was unusable. This is almost 8×8. So it’s a good size walk in, but it’s horrible because it was just like, when it was part of the room without the wall there, the only thing you will really do is put like two chairs. And who really these days has like a sitting room in their master? If you do I’m not talking crap on you, but it’s not really that useful if you gonna be just yourself. I doubt it if you use it really that much. Now, this is functional. It’s gonna be used as a closet. There’s windows in here. This door that used to go out to the back deck is gonna go away and it just gonna be a window. So that you get more closet rack space. Again, getting rid of stuff that is unneeded. Putting stuff that is needed in. And as we come into the master here, this is an awesome-sized master, okay? You got a separate shower, that tile will be going in. We’ve got a jetting tub. This was already here, we’re just redoing the tile. New floors. You got a counter over here, toilet and another vanity. So again, 1800 square foot house with a master bathroom, separate tub and shower, and two vanities. And here is what I’m talking about but we don’t necessarily need to see all of it. But right in here is a cubby, where you could do a stackable washer and dryer. Or you could do a washer dryer combo on below. And have storage in here for linens and everything. That’s a pretty cool feature that you don’t see in these types of homes. All this was done with just changing around a few walls. That’s massive value. I mean, this takes us home from what most people didn’t want this home because of the weird functionality and they couldn’t figure it out. We sat in this home for, I don’t know, a better part of probably an hour, hour and a half. With three people brainstorming, figuring out, “Is there a way to make this work, and get rid of this stuff?” And we settled upon this. And I think it was a really good place to settle because as we’re walking through it now it, don’t step on that tile, there you go. It works really well. I’m excited for this because for the price range this home is gonna be in, it’s a steal. You’re looking at, again, don’t put me on that, but around 1800 1900 square feet. Three bed, three and a half bath. All of the bedrooms are masters suites, and a huge yard, at a dead end street and everything. So the price on this is gonna be in a 375 range. It’s a mid-century house. It’s gonna fly off the shelves. It’s in Cotwood Heights. So keep an eye up for it, it’s a couple of weeks out. And…let me know if you guys have any other questions. Make sure you comment on this, what else would you to hear about? We can do another walk through here, and whenever you want. But thanks for listening, and we’ll catch you on the next video.